Just uploaded the 20-minute section from Desert Driving II dvd in which Toby Savage and I describe how we set up our vehicles for long-range desert travel. This was shot in 2002; no doubt gadgets have moved on since then but the principles remain the same. 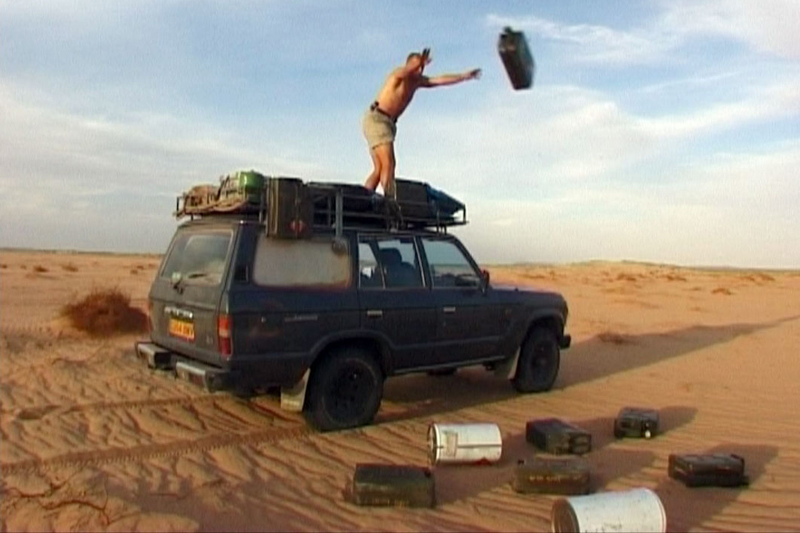 Before we met up to make the film I was travelling in the deep south of Algeria, burying fuel and food caches for Desert Riders which we did in early 2003. 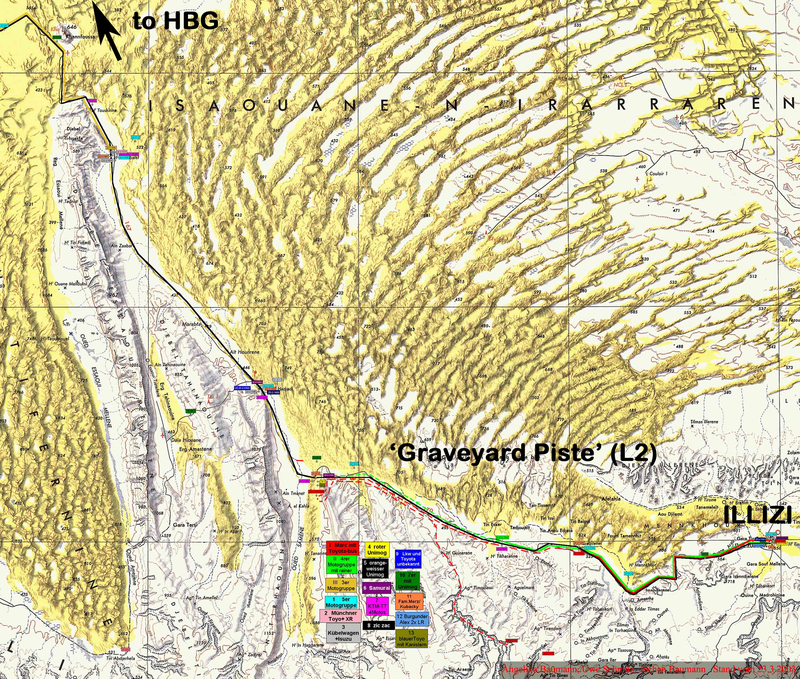 With that done, we filmed the whole thing from Illizi to HbG in about 3 days along the so-called ‘Graveyard Piste’ (A2 in the book). 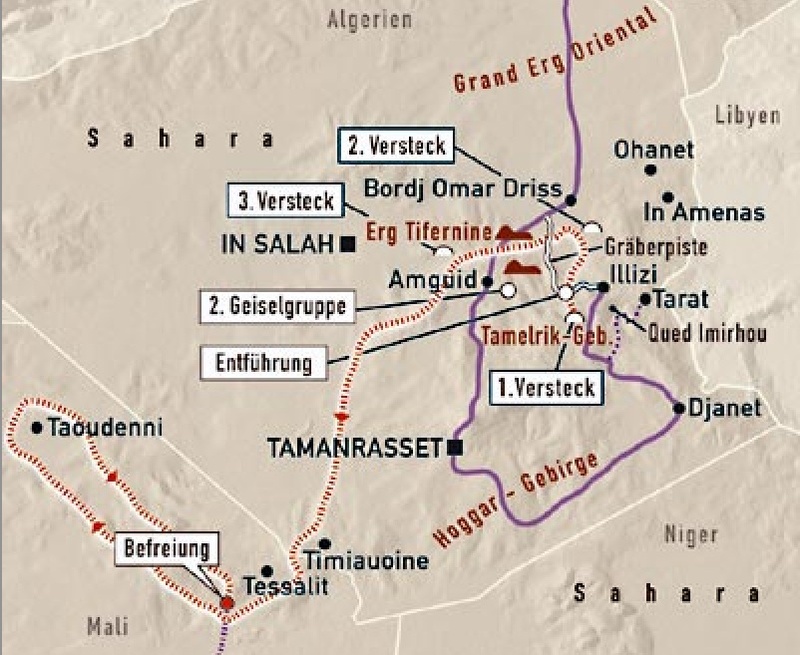 It runs some 470-km between Illizi and Hassi bel Guebbour and adds up to the perfect Saharan piste: pre-historic graves, dunes, gazelles, plateaux, old French fort, a couple of wells as well as nomad camps – Sahara in a nut shell. Just as we were coming back from D Riders, it was along this popular piste a few months later that 32 tourists on motos and 4x4s (some of whom we’d met in Tam) were kidnapped, kicking off the current situation in the Sahara. The scourge continues (two more kidnapped today in Mali) and it left a lot of desert-ready fourbies all dressed up and nowhere to go. 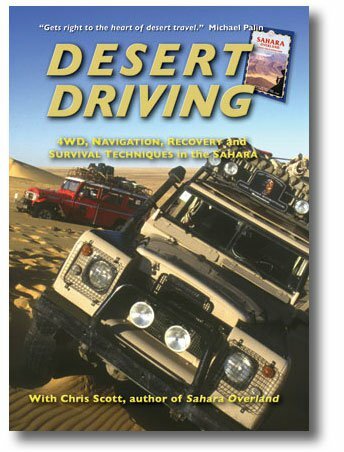 This entry was posted in Uncategorized and tagged 2003 sahara kidnappings, chris scott, desert driving II dvd, land cruiser hj61, land rover carawagon, Richard Gurr, sahara overland, Toby Savage on November 2, 2013 by Chris S.